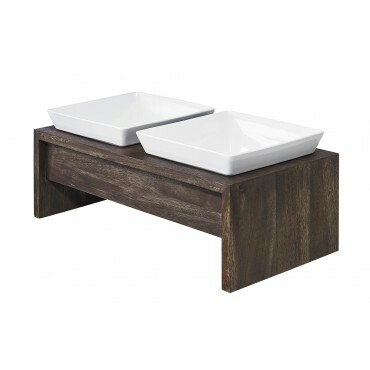 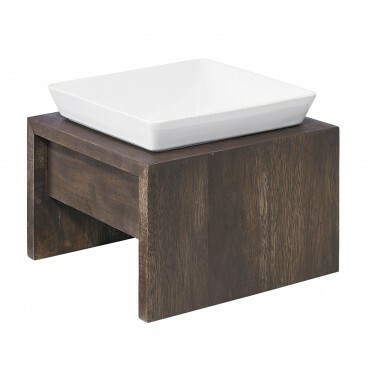 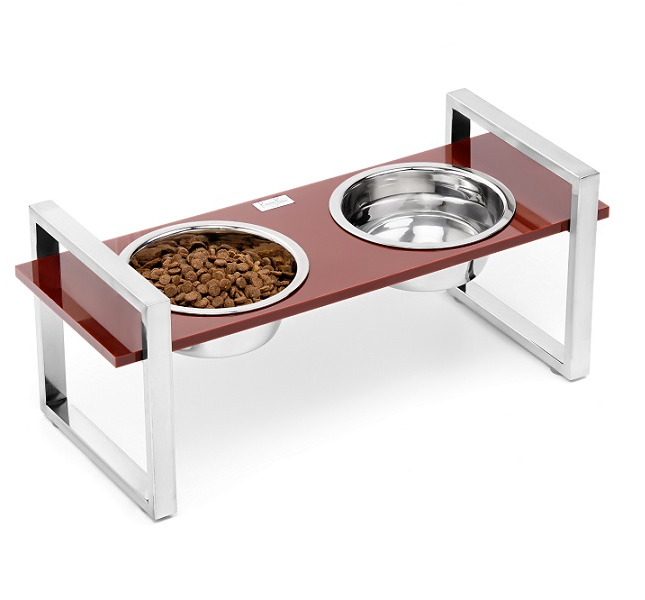 Brown Luxury Acrylic Double Feeder is a thick slab resting on two durable stainless steel legs. 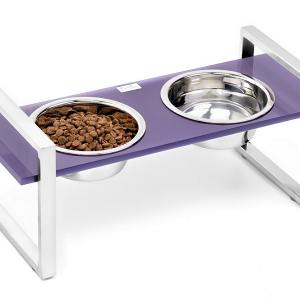 The elevated bowls will provide healthier digestion, proper eating posture for the small , medium and large breed in your pack. 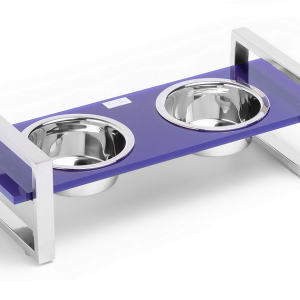 Removable stainless steel water/ food bowls are extra heavy; 0.7mm thick, dishwasher safe and easy to clean. 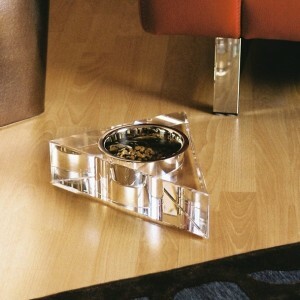 Small bowls holds 3 cups each. 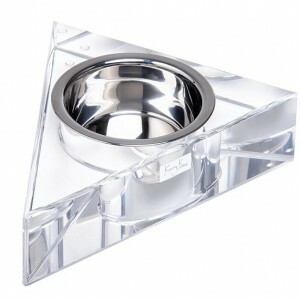 Medium and Large bowls hold 5 cups each. 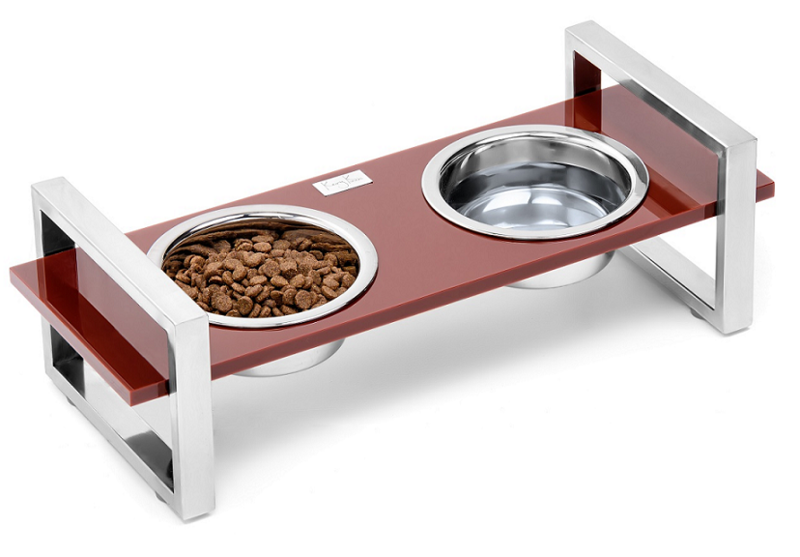 Thick rubber bumpers on the bottom of the stainless steel legs will prevent rambunctious dogs from sliding the bowl around.